The South Adelaide Football Club wishes to inform its members and supporters that Senior Coach Garry Hocking will be departing the Club to take up a coaching opportunity with AFL Club Collingwood in 2018. Hocking, who was appointed to the coaching role at South in November 2016, informed the Club earlier this week that he had accepted an offer to join Collingwood's AFL ranks in 2018. Panthers Chief Executive Officer, Neill Sharpe thanked Hocking for his contribution to the Club over the past 11 months and wished him well in his new role with the Magpies. "Garry's level of professionalism and wealth of experience from his time within the AFL environment has been a welcome addition to our Club over the past year," said Mr Sharpe. "While it is disappointing to lose Garry it is the reality of the environment we are in that when people get great opportunities at AFL level that they will take them and go with our best wishes. "The Club has clearly benefitted from having highly talented coaches in recent years that are in demand throughout the industry. We will immediately start the process to find the next one." Hocking thanked the Panthers for the opportunity to continue his passion for coaching. "Thank you to the South Adelaide Board for showing their faith in me and offering me the senior coaching position. I am truly thankful for the opportunity South Adelaide provided me to lead a group of talented young men," said Mr Hocking. "Thank you to the players, staff, volunteers, sponsors, members and supporters for embracing me during my time with the Club. I've thoroughly enjoyed it and will always look fondly at the relationships I have forged over the last year. "The decision to leave South Adelaide is not one I made lightly, but I am confident the Club is well placed for success in the near future. I hope the success the Club craves comes in the near future. It is certainly deserved. "Meanwhile, I am excited by the chance to coach within the AFL ranks again and am looking forward to the next challenge in my coaching career." In his sole season at the helm of South Adelaide, Hocking coached the Panthers to an eight win, 10 loss record, and narrowly missed Finals qualification by 2.42% on the last day of the SANFL Macca's League season. 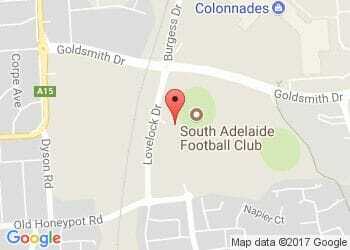 South Adelaide will advertise the now vacant Senior Coaching role in the near future.